Lack of Afro is essentially one guy, a drummer, DJ Adam Gibbons, who mixes together 60s and 70s jazz, funk and soul with modern hip-hop beats to create what he calls "a steamy stew of a breakbeat bonanza". And he ain't kidding. 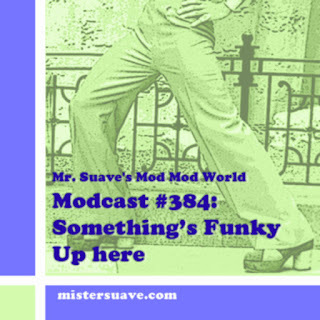 The nu-funk-soul landscape has become awash with all sorts of bands, DJs, and others, belting out funky, jazzy, soul music. The hammond beat sound is alive and well to be sure. Problem is, a lot of the stuff is junk, and derivative junk at that. The real purveyors of cool in this genre standout. A few that I'm thinking of are The New Mastersounds, Nicola Conte, Karminsky Experiment, Paolo Apollo Negri, Soulive, and The Bamboos. And the more traditional soul and R&B outfits like The Dap Kings, Diplomats of Solid Sound, Nicole Willis and Soul Investigators and so on. I will now add Lack of Afro to that list. Partly because he fits into the genre, clearly, but also because he's doing something a little different, making a unique mix of trad soul and jazz with rap and hip-hop. There's a knack to good mixing, and re-mixing especially, and Lack of Afro has it. I remember when The Style Council pushed out some early rap songs in the mid-80s, which for the most part fell flat. Weller's attempt seemed forced, like he was trying too hard to cash in on a new thing. But Gibson's blend of old and new seems much more ... well groovy. Just take his northern soul stomper "Touch My Soul" with it's inspired sampling of Steve Marriott. His first album, 2007's Press On, was an impressive debut. And it too featured excellent mixes. But this latest album , released just last fall, My Groove Your Move, shines even brighter, especially with the tracks that incorporate rappers Herbal and Wax, and solid soul vocalist Roxie Ray. They're the freshest pieces on the album by far.